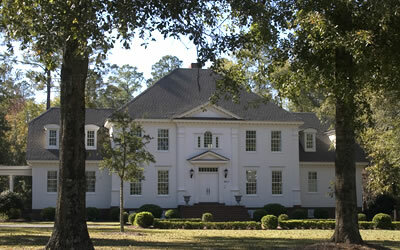 Mark Courson Construction Co Inc is a custom home and light commercial builder based in Valdosta, GA. 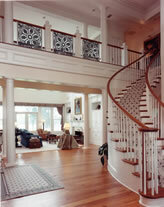 Established in 1992, we focus on custom home design and unmatched quality. We have built an outstanding reputation based on attention to detail and exceptional customer service. In 2006 we were named “Best Residential Contractor in South Georgia�? Our primary building areas include Cherry Creek North, Kinderlou Forest, Stone Creek and privately owned properties. Our construction and design experience represents a variety of locations, lifestyles and tastes and has included every style of home from Georgian, Colonial Revival, European, Italianate, French Country, Farmhouse, Craftsmen and Mediterranean to “empty nest�?and “retirement�?with square feet ranging from 2,800 to 10,000. We work closely with many gifted architects, engineers, interior designers, and landscape architects to simplify the home building process for you. We can build a design team to best meet your unique needs or we can work closely with your design professionals to maximize your floor plan and make sure your new home construction is everything you dreamed it would be. This team approach provides excellent workmanship, saves time, money and provides value conscious service. 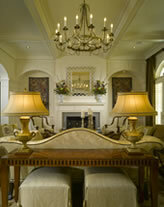 Selecting the right builder is the most important aspect of building a custom home or commercial project. This selection should consider the builder’s reputation for honesty, integrity, and his ability to produce quality work with desired results at minimum expense and waste. You should be presented with contract options and know how they will impact the cost of your home or office. It is important that the builder explain the specifics and benefits of each option. Since the builder directly affects a project’s cost and construction time, choose a builder that is experienced, committed to fulfilling your vision, and has the track record of completing projects on time. Take the time to meet the builder’s personnel, people with whom you will have regular communications. Review his portfolio and visit some of the homes he has recently built. Investigate the customer satisfaction, both before and after the owner has moved in. Did he respond in a timely and courteous manner to their needs and requests? It is important that the builder you select is someone you can trust and with whom you feel compatible. Building your dream home should be an exciting and rewarding experience. Your builder should communicate honestly while explaining the process and averting problems along the way. The time you spend in your home is far greater than the time spent elsewhere�?it should be your haven, your safe harbor�?and as worry-free and comfortable as you would like the remainder of your life. Let us build your safe harbor�?one pleasant and inviting for your entire family. We, at Mark Courson Construction, are never satisfied with a new home until you are! Contents of this site are copyrighted by Mark Courson Construction Co., Inc.